The aim of this series of posts is to sketch possible thinking steps that might help us to get a solution or at least a direction for one of today's urgent issues as identified by Yuval Noah Harari in the book 21 Lessons for the 21st Century (see the blog post Will our inventions make us irrelevant?). There is a difference between ignoring general statistics that suggest a link between eating x and stomach cancer and ignoring a biometric sensor that tells you that it has detected cancerous cells. And what if the warnings are sent to your partner or your employee? 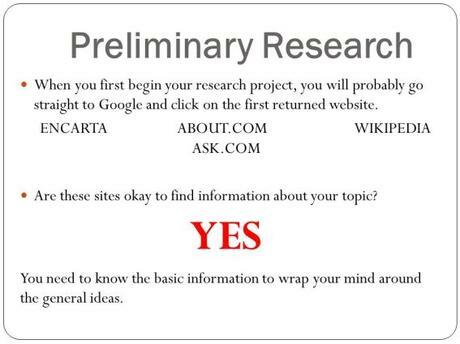 As a first step, we suggest doing some research on the topic, in order to attain a level of an advanced beginner in the field of ownership of data. More is not desirable in order to avoid the curse of experience we wrote earlier about. The aim is to acquire some situational awareness. What kind of vocabulary is used? In what different ways is the problem defined? What is meant by ownership? What problems and consequences are mentioned? What are the involved parties and what are their interests? Attempts: It is sometimes alternatively defined as a juridical, an ethical problem, a financial problem, a problem as justice, a future challenge for innovation. Some people argue that it is not about ownership, but about control and access to your data. Or about sharing data. Words frequented used are the power data deliver, the value of data, commercial interests, IoT-hubs, a software-mediated world, predictable problems, Intellectual Property, personally tailored services, selling data, costs of obtaining and processing data. Take not more than two hours for this phase of probing the waters. As we wrote earlier Thinking Strategies are process designs for thinking. It gives you a global approach to thinking. Thinking Strategies allow you to make a map of the thinking situation before you enter the area. It allows you Thinkibility-on-the-Spot. What actors or parties are involved? What are their beliefs, what are there interests, what is their definition of the situation or dilemma? What values are involved here? What are the factors to be considered here? What are the long-term effects of continuing with collecting medical data as we currently do or allow? Our attempts: It is alternately defined as a juridical problem, an ethical problem, a financial problem, a problem of justice or a future challenge for innovation. Some people argue that it is not about ownership, but about control and access to your data. Or about sharing data. There is a parallel interest of caregivers, patients and family and the pharmaceutical industry to live as long as possible at any prize. However, the interests of the health insurance companies and the taxpayers are at odds with this. The state is responsible for public health and at the same time for affordability of basic health care for its citizens. Words frequented used are the power data deliver, commercial interests, IoT-hubs, a software-mediated world, predictable problems, Intellectual Property, selling medical data to third parties, costs of obtaining and processing data, the value of data for personally tailored medicines and treatments, medical-industrial complex, affordability. What is the Thinking Situation? Our attempts: Without not much foreknowledge but with help of the perception broadening thinking tools some Idea Sensitive Points emerged. An ISP is a point where a new idea can make a big difference. These points are 'sensitive' to new thought. Ethical Dilemma. Should assurance companies or even governments be allowed to give you compelling instructions on how to live on the basis of scientific data analysis? This seems an ethical dilemma with several concepts involved like solidarity, affordability, risk, privacy, personal and social responsibility. To get the question "who owns your medical data?" sharper, we might develop several imaginative about how companies other than health care providers and assurance companies could benefit from your medical data. In other words: who could at this moment legally sell your data to who, regarding the assumption that any future company will be a data company? Could we inventively predict future problems? 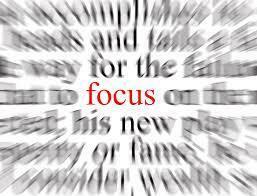 Blocked or stagnant situation. As we assume that the current frameworks about ownership (legislation, technology) are developed for physical objects and not for re-usable and resalable data, we could speak of a blocked or stagnant situation in law and technology. There seem to be no new ideas, we cannot find a way forward. Could we modify the Creative Commons licence? Could we apply the principles underlying quantum computing to innovate data protection? It may be worth to spend some fresh thinking, starting again. By massively sharing our medical data we could make more accurate diagnoses, devise personal treatments and better prognosis of disease progression at fewer costs. At the same time, we give up privacy, autonomy and innocence and give governments and companies nearly absolute control upon our lives. Our attempts. We assessed the different thinking situations or preliminary problem definitions by Impact/Effort matrix. Ethical dilemma. This option is surely important for students, CEO's, practitioners, policymakers and technologists. The outcome of this thinking will be a yes or no, or perhaps an improvement of existing practices. However, we are afraid that our thinking will be bound by existing thinking about morality, law and technology. We asses this as High Effort, Scenario. This option of mapping the future will us give insights into what might happen if we let things take their course and perhaps some clues of possible discontinuities. In the best case, it will provide some interventions to change the balance of power between the medical-industrial complex, patients and other companies that may profit from medical data. We asses this as High Effort, Low Impact, not to pursue. Blocked or stagnant situation. This option is a good starting point for exploring possible solutions and not digging too deeply into ethical dilemmas and scenarios. For this, I would like to use Creative Commons as a starting point. It has been used for a while, and positive and negative factors can be explored quickly by looking at experiences from using this approach. It is a design task, a radical rethinking about expanding the range personal data available for others to build upon legally and to share. WParadox. This option has a "beautiful constraint" (longevity with no giving up privacy and self-destination) and is, therefore, a great candidate for a breakthrough, because it strives to an Ideal Final Result, the reconciliation of two opposite forces. It addresses the underlying dynamics of the challenge. We asses it as High Impact, High Effort, maybe to pursue. So, practical as we like to be, we decide to pursue with Creative Commons as an entry point to tackle the challenge of who owns your medical data. e assess this as High Impact, Low effort, to be pursued. Low Impact, not to pursue. It is likely that when you have used some perception broadening thinking techniques, you will end up with more than one thinking the situation or even problem statement. How to choose? Our attempt. The next post we will open with what reveals our list of redefinitions as the most promising definition of the problem, departing from: " Could we modify the Creative Commons licence as a starting point to regulate the ownership of medical data? 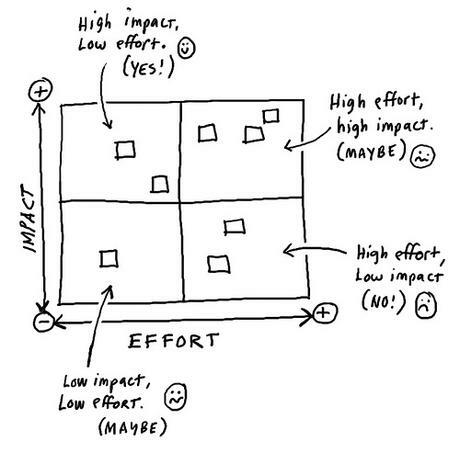 Place the thinking situations within a 2×2 matrix that is organized by impact and effort: Impact: The potential payoff of the action. Effort: The cost of taking the action. 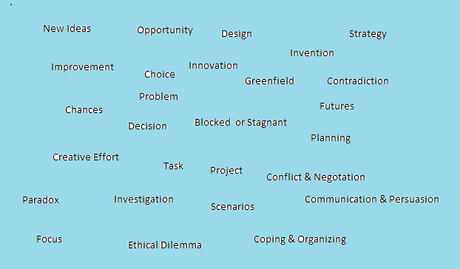 To lessen the risk of being trapped in an obvious definition of the thinking goal - and getting obvious ideas - it helps to redefine the thinking challenge in at least 20 ways, connecting them with the statement: the problem here is. . . and. . . and. . . also. . . and not to forget. . .
Then choose the most of the least obvious. The most obvious problem statement may lead you directly to a practical solution. The less obvious problem statement may direct you in a completely different direction than thinkers before you followed. That is the most secure way to arrive at a breakthrough idea, an idea no one else before you got. Please, send us your twenty problem definitions!